Are salon blogs actually worth starting if you are a salon owner? This was the question of the latest episode of PhorestTV’s Salon Growth Series. However, just before shooting the episode, we found that a few of us actually had different points of view on the matter. So instead of discussing this behind-the-scenes, we decided that we should probably jump in front of the camera and delve a little deeper into the topic of salon blogs for your enjoyment. As you can see, there is no straight Yes or No answer when deciding whether or not to get into the world of salon blogs. Yes, it is time consuming. Yes, it can take 6 months before you start to see results. 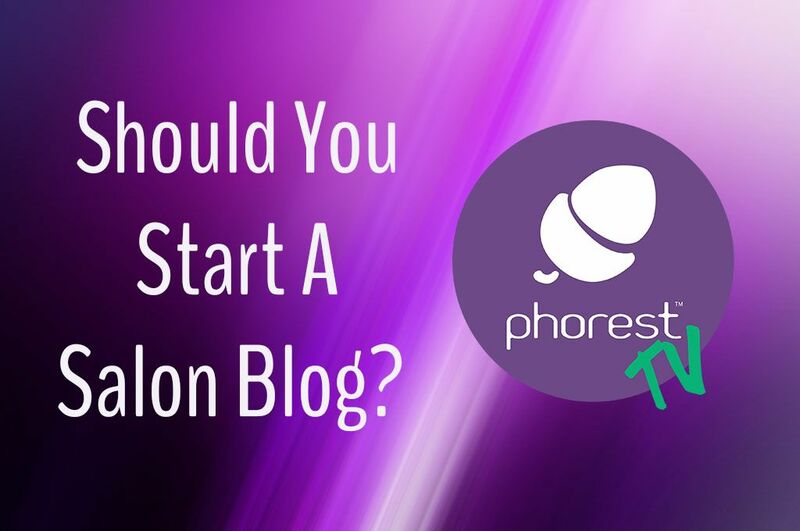 But, if you are committed and you find that you have a passion for it, a salon blog can become one of the best ways to get new clients flocking through your doors! At the end of the day, it may just come down to whether or not you actually enjoy it. Because every blogger will tell you, there are many days that we simply do not feel like sitting down at a laptop and whipping together a new article. But we do it anyway. And the funny thing is, once we do, we feel fantastic! As we mention on the episode, before you decide whether or not to commit to becoming a salon blogger, how about you just write out a quick article in a word document and see how it goes? Thanks for reading (and watching 😉 )!